Home \ Hair \ HydroBlast Moisturizing Shampoo 15.15 fl.oz. HydroBlast Moisturizing Shampoo 15.15 fl.oz. 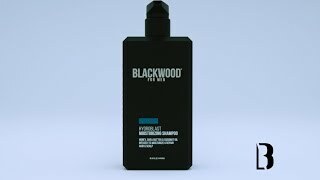 Named Best Shampoo of 2019 by The Manual. Moisturize your hair while you cleanse. Honey, Shea Butter, Coconut Oil and Arginine help strengthen and repair from the root up, making hair easier to style. Is your hair stuck in a dry spell? End the drought with a deluge of moisturizing botanicals. Our award-winning HydroBlast Moisturizing Shampoo gently cleanses your hair while vigorously assaulting dryness. Botanicals like Honey and Coconut Oil not only hydrate hair in the moment, they lock in that moisture so you can save some for later. A lesser shampoo would stop there, but this overachiever adds in Hydrolyzed Silk, Arginine, and Shea Butter for added strength and protection. Paraben-free, cruelty-free, and ready to help repair the damage from all that hair drying and styling you've been doing. Works best with HydroBlast Moisturizing Conditioner. For daily use. Apply shampoo to wet hair, massage onto scalp then rinse. For best results, follow with HydroBlast Moisturizing Conditioner. Water, Glycerin, Cocamidopropyl Betaine, Fragrance, Sodium Laureth Sulfate, Cocamide DEA, Shea Butter, Honey, Pro-Vitamin B5, Citric Acid, Arginine, Hydrolyzed Silk, Sodium Hyaluronate, Hydroxypropyltrimonium Hydrolyzed Keratin, PG, Glycol Distearate, Sodium Cocoyl Glutamate, Potassium Cocoyl Glutamate, Sodium Lauroyl Methylaminopropionate, Polyquaternium-10, Cetyl-PG Hydroxyethyl Palmitamide, Sodium Lauraminopropionate, BG, Sodium Chloride, Tetrasodium EDTA, Alcohol Denat. HydroBlast Moisturizing Conditioner 7.76 oz. Active Man Daily Shampoo 15.15 fl.oz. Love the fragrance of it.